The speed rating is the maximum legal speed for a tyre when it is correctly inflated and in use under load. You will find your tyres speed rating printed on the sidewall, and represented by a letter. A tyre with a speed rating of V, for example, has a maximum speed of 149 mp/h. 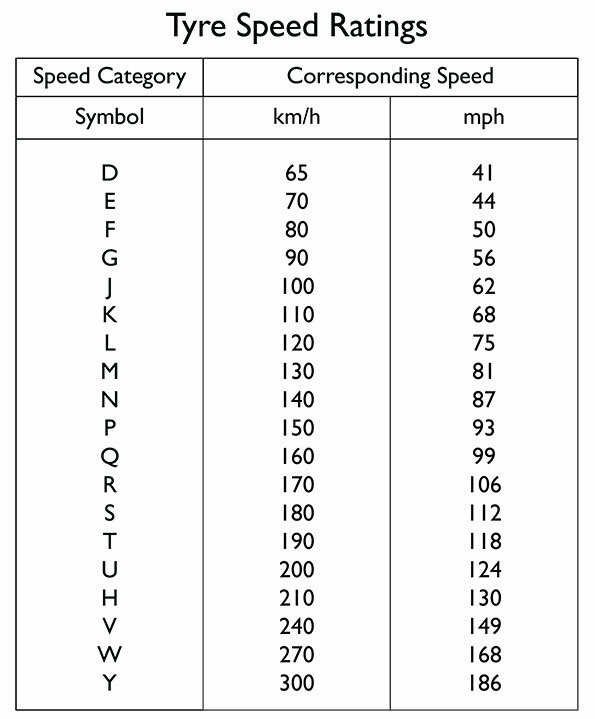 To understand further how this letter corresponds to the maximum speed please view the table below.